The jury stated that Ride the Ducks International, the producer of the duck boat vehicle, was 67-70% responsible for the crash, while Ride the Ducks of Seattle, the duck boat company, was 30-33% wrong. 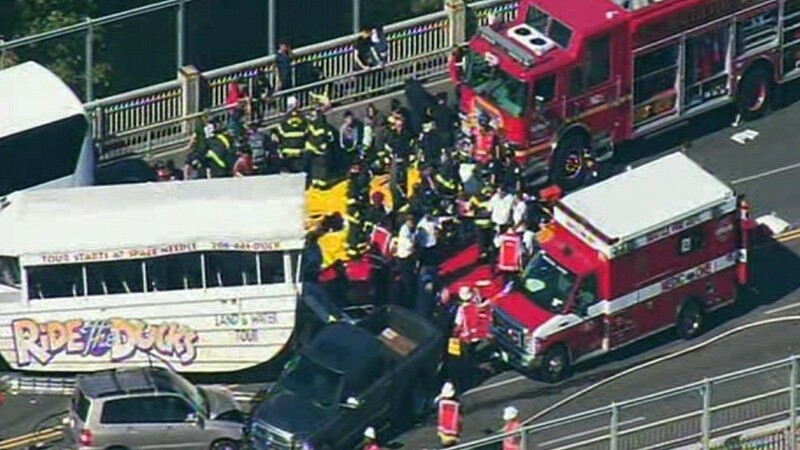 Duck boat – a vehicle that can run on both land and water – crashed with a bus that brought students and staff from North Seattle College to the city's Aurora Bridge in September 2015. The crash left five people dead and dozens injured. After the accident, investigators from the National Transportation Safety Board found that the duck boat's front axle was broken and that it did not undergo a repair as its manufacturer recommended two years earlier. NTSB said Ride the Ducks International had informed customers of a potential safety problem and had recommended repairs or increased vehicle monitoring. The verdict handed down on Thursday stated that the manufacturer provided an insecure product and violated product liability laws and said that the tour operator had been negligent. Victims of victims and families had also sued the city of Seattle and the state of Washington, but were also not found liable. Following the verdict, Ride the Ducks of Seattle issued a statement saying it has made significant structural changes in parts of its vehicles and initiated regular testing in addition to Washington State and US Coast Guard inspections. The tour operator also said it did a "top-to-bottom review" of its activities and removed the Aurora Bridge from its route. 5, the Ride the Ducks of Seattle owners, management and team members have always wanted to do the right thing for everyone who is afflicted by the accident but have been limited by the limitations of the legal process , "said the company in a statement. "Today, the jury's judgment puts us one step closer to that goal. There is no day passing by; we are not thinking about the lives that were forever changed that day." Also riding the Seattle Ducks said it has been trying to repair its relationship with customers. "We have worked hard to regain the trust of those we serve and will continue to do so in the future," the company said in its statement. CNN has made several requests for comments on the company owns Ride the Ducks International, but has not yet received a reply. Karen Koehler, the lawyer representing the duck-cat crash victims and their families, was pleased with the jury's decision, the Seattle Times reported. "This jury was always on top of this case and we couldn't have asked more of them," she said after the verdict according to The Seattle Times. Koehler also said she hopes that the decision will cause the company's vehicles to be taken away.